Ster-Kinekor is hosting another Girlfriends’ Getaway with the screening of the fresh, new comedy Little on 10 April. The brand-new comedy Little is the perfect excuse for a girls’ night out, and Ster-Kinekor is making it extra special with its Girlfriends’ Getaway screening of the movie on 10 April. So grab your friends and get ready to LOL with popcorn, entertainment and all your favourite people in one place. In this fantasy-comedy, tech mogul Jordan Sanders (Regina Hall) is transformed to her younger self, at a point in her life when the pressures of adulthood become too much to bear. She’s given the opportunity to embrace her carefree teenage years yet again, but what will she do with it? Fans of 13 Going On 30 will love this fresh and hilarious take on the time-travel theme. 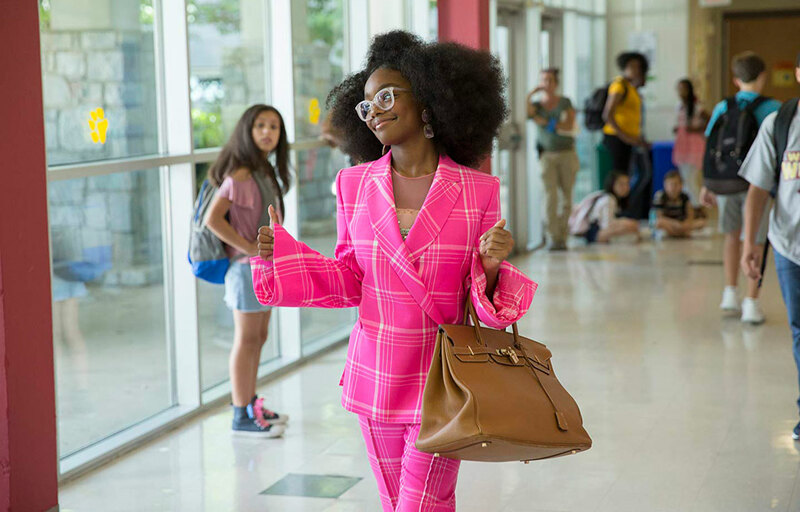 The idea was originally pitched by Marsai Martin, who was 10 years old at the time, after she watched the movie Big starring Tom Hanks, where the opposite happens and Hanks is transformed from a 12-year-old boy to a 30-year-old man over night. Expect a light-hearted movie with a lot of laughs and plenty of feel-good moments – perfect for a girls’ night out. Book for the Girlfriends’ Getaway screening of Little on 10 April and you’ll receive a welcome drink, finger snacks and a free gift, compliments of Ster-Kinekor, making your night out that much more special. Girlfriends’ Getaway will be hosted at the following sites: Capegate, Cavendish, Cresta, Eastgate, Gateway, Mall of Africa, Maponya Mall, Sandton, Sterland, The Zone, Wonderpark and Vaal. For more info, click here. Ts and Cs apply. As an Edgars Club VIP or Club Life member you save up to 50% on two Ster-Kinekor movie tickets daily! Trust us, it doesn’t get any better than this. Click here to find out more. Ts and Cs apply.